I’m always interested in finding a book that teaches me a new aspect about history that I never knew. Atomic City Girls by Janet Beard was one of those books. In this story, June Walker, a newly graduated high school student whose fiance has just been killed fighting in World War II, decides to join her sister and take a job in Oak Ridge, Tennessee. She is given a job where she must sit facing controls on a large machine. The gauges should fall within a certain area, and if they don’t, June has to adjust them. She has no idea what she is doing, only that the work she is doing will help the war effort. Sam Cantor is a physicist who leaves his college professorship to come to Oak Ridge. He does know what he’s doing–racing the Germans to create the first atomic bomb. Joe Brewer is an African-American from Alabama who leaves his family to make money at Oak Ridge with the hopes of bringing his family to Tennessee as soon as possible. Shortly into the story, June and Sam begin an unlikely romance, which is doomed from the start. June is a small town, country girl while Sam is a Jewish man with a Ph.D. from New York. What really dooms their relationship is Sam’s alcoholism. This story tells about Oak Ridge, a secret facility where they separated the isotopes to make the energy for the atomic bomb. Most of the workers there had no idea what they were doing until after the bombs were dropped in Japan. 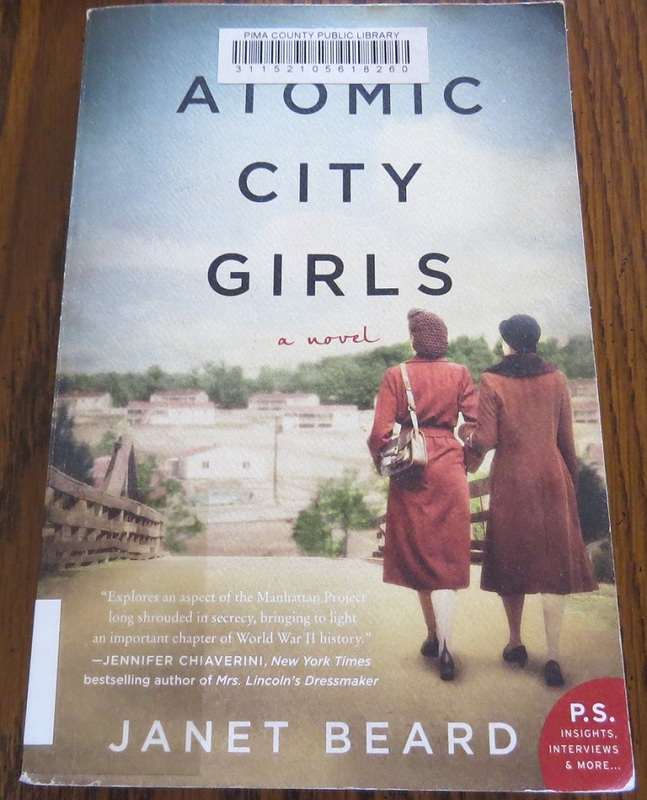 I loved learning about this new aspect of history that I had not known about, and after reading this book, I even requested a non-fiction book about Oak Ridge from the library to learn more. Regarding the novel itself, I enjoyed it even if I was a bit frustrated by the character development.